Fort Wayne Chiropractic Radiological Center is a chiropractic consultation service available to physicians and patients seeking (1) a simple radiological interpretation or (2) a second opinion or input on treatment of a spine-related pain case. Offered by Dr. James M. Cox, a chiropractic radiology diplomate and founder of Cox Technic Flexion Distraction and Decompression chiropractic spinal manipulation protocols, FWCRC offers a unique combination of radiological as well as clinical insights to help establish a diagnosis and/or treatment plan to help a patient regain his or her quality of life, devoid of back pain, leg pain, neck pain, arm pain due to spine conditions like disc herniation, spinal stenosis, spinal instability, degenerative disc disease, and the like. 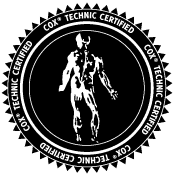 Peruse this website as an example of back pain conditions' diagnoses, treatment procedures and outcomes using Cox Technic. Use the ID Your Pain symptom-checker. Then contact Fort Wayne Chiropractic Radiological Center for an individualized radiological and/or treatment consultation based on a spine pain case's images be they CT or MRI or plain film, clinical examination findings, and history. Fort Wayne Chiropractic Radiological Center will consider all the data supplied, prepare a concise report, and share the findings. To schedule a consultation, contact Fort Wayne Chiropractic Radiological Center today. Fort Wayne Chiropractic Radiological Center sets realistic expectations of back pain relief and improved quality of life which is really what back pain sufferers wantto live their lives more comfortably and independently. Fort Wayne Chiropractic Radiological Center welcomes Fort Wayne ankylosing spondylitis patients to come for gentle, relieving treatment of their spine. Fort Wayne back pain treatment often includes nutrition with chondroitin sulfate for the accompanying disc degeneration. Fort Wayne Chiropractic Radiological Center uses a chiropractic treatment plan with manipulation and exercise to address neck pain and shoulder pain.